There are very few sites on the internet today that do not have some form of advertising embedded within their pages. Online advertising is big business. Companies are well aware that people are online more often than ever before, largely because of the rise of mobile devices. A big problem that advertisers and publishers are experiencing is that many users don’t want ads put before them when they are surfing. Those users will employ ad blocking software in an attempt to make that happen. You have probably heard of ad blockers, but do you know how they actually work? Let’s take a closer look. Many website owners, or publishers, use ad servers to get the advertising content for their website, and each of those ad servers has a domain name. Ad blockers have a list of recognized adserver domains and stop an ads being shown to the user. This works very well for popular ad serving companies. However, it doesn’t cover all ad server domains, which is why these blockers employ other techniques to keep ads hidden. A website often has dedicated spaces for advertising called ad placements. These ad slots tend to have certain names or tags, and the ad blockers can detect what look like ad containers hidden within the site. Once it does that, they hide these widgets from the user. Mistakes do happen and non-ad content might be blocked if the ad blocking rules misidentify content or are simply too aggressive. Ad requests and ad file names are loaded via web address URLs. These URLs tend to have certain parts that are consistent and predictable, which make an easy target for the blockers. A list of recognized URL patterns is used to filter these ad requests and then block them from loading. As you might expect, it is a cat and mouse game. The publishers and ad tech companies race with ad blocker companies to stay ahead of the game. Many publishers rely on the revenues they earn from advertising to stay afloat, which is why they put in the time to make sure their ads is visible. The ad blocker also regularly update its recognition patterns in order to keep the ads from appearing. 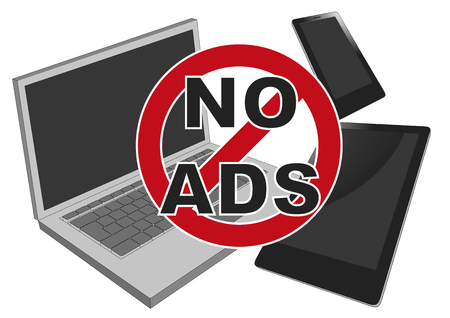 Updates to ad blocking rules are often automatically downloaded to the visitor’s computer. While some users would like to see all ads obliterated from view, there are others who understand that publishers depend on ad revenue to stay in business and to be able to open their sites to the public. A good ad blocker will allow its users to allow ads on certain sites, which is a definite plus, as many sites now require you to switch your ad blocker off before they allow you to see all of their content. This is a win-win scenario for everyone, as the user can still limit the amount of ads that they see, whilst the publishers and advertisers still get to have their message out there in front of the masses without fear of being blocked at every turn.